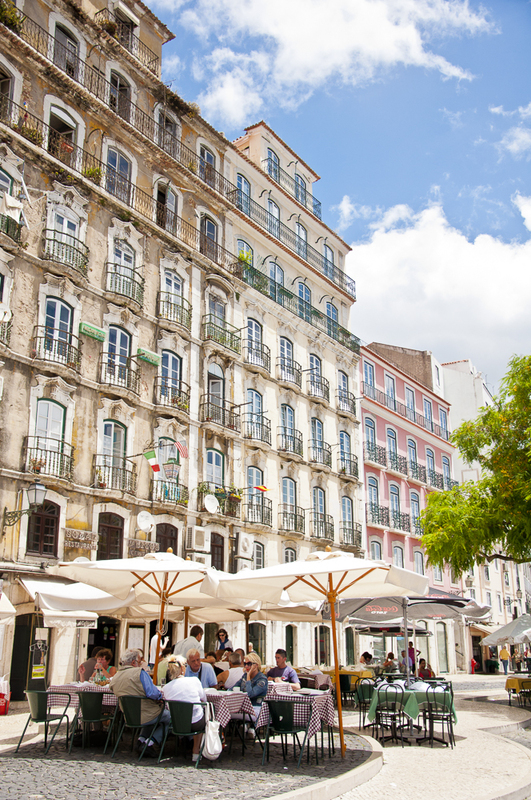 Portugal is sometimes called the “foster kid of Europe.” Its southwestwardly location, year-round comfortable Mediterranean climate and easy-going population can indeed feel un-European at times. Because the Portuguese love to travel, it’s no surprise that Lisbon, their capital, is a sophisticated, global city, which offers endless opportunities to both visitors and residents. Recently, Lisbon has started to wake up to tourism and has become a desired destination among younger crowds. 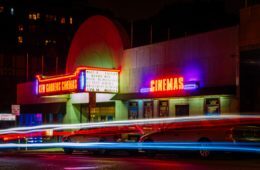 A new generation of venues has popped up in the last couple of years, upgrading the nightlife and dining scene. Bars and clubs are paying more attention to design and trendy fashion boutiques are spreading. 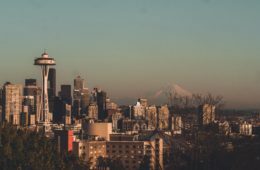 Combine this with the history, the architecture, the beaches, and the fact that it is a relatively easy-to-navigate place, and you get a great destination to visit and a diverse city to shoot in. Lisbon lies on the north bank of the Tagus Estuary, on the European Atlantic coast and is considered the westernmost city in the European continent. Greater Lisbon has an area of approximately 1000 km2. The city itself lies more or less in the center of the country, 300 km from the Algarve in the south and 400 km from the northern border with Spain. Lisbon offers a wide variety of landscape options, but among them all, an overview of the city from one of the hills is not to be missed. Lisbon is referred to as The City of Seven Hills (even though there are more than seven): Alfama, Bairro Alto, Baixa, Belem, Castelo de San Jorge are stand out destination spots. 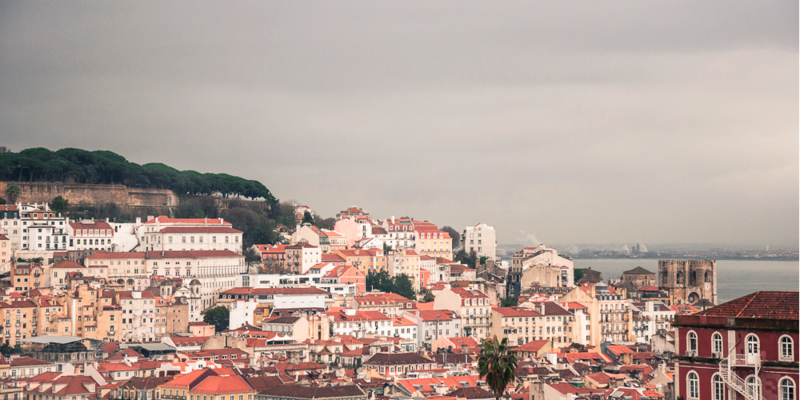 Thanks to the influence of the Atlantic Ocean, Lisbon has a pleasant climate throughout the year. In winter (January-March), average temperatures are between 52 °F and 57 °F, with temperatures as low as 46 °F and as high as 64 °F. In summer (July-September) average temperatures are between 75 °F and 84 °F. Although temperatures may fall somewhat in the autumn and winter months, it hardly ever snows and the sun is almost always out, which make Lisbon suitable to visit year-round. During wintertime (from the last Sunday in October to the last Sunday in March), the official time in mainland Portugal and Madeira is the Universal Time Coordinator (UTC). The rest of the year (the last Sunday in March to the last Sunday in October), summertime is in effect and the official time in mainland Portugal and Madeira is UTC+1. 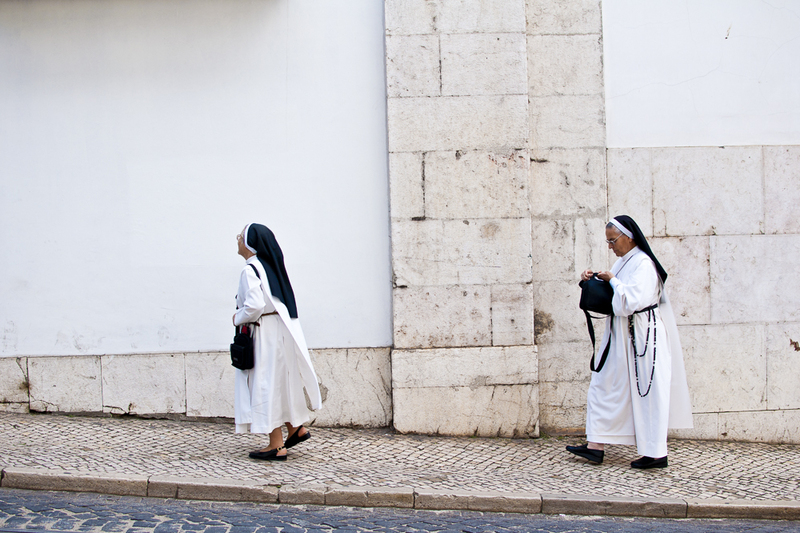 Lisbon is quite a compact city and relatively easy to navigate. There are few areas and neighborhoods to be considered. 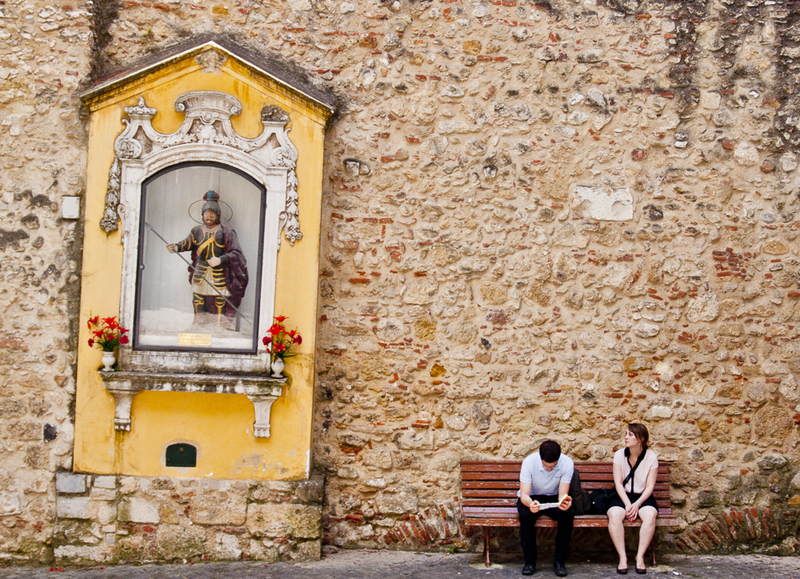 – Alfama and Graca are the historic districts below Castelo de São Jorge, reknowned for their maze of cobbled streets and churches. – Amoreiras and Campo de Ourique are the offices and residential blocks where the Amoreiras Towers are located. – Avenidas Novas is downtown and filled with 1950s-style apartment blocks. 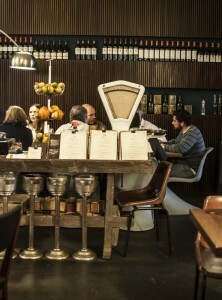 – Barrio Alto and Chiado are Lisbon’s nightlife hub, full of hip trendy boutiques, old-fashioned stores and cool hotels. – Restelo and Alcantara are artsy districts on the riverbank. 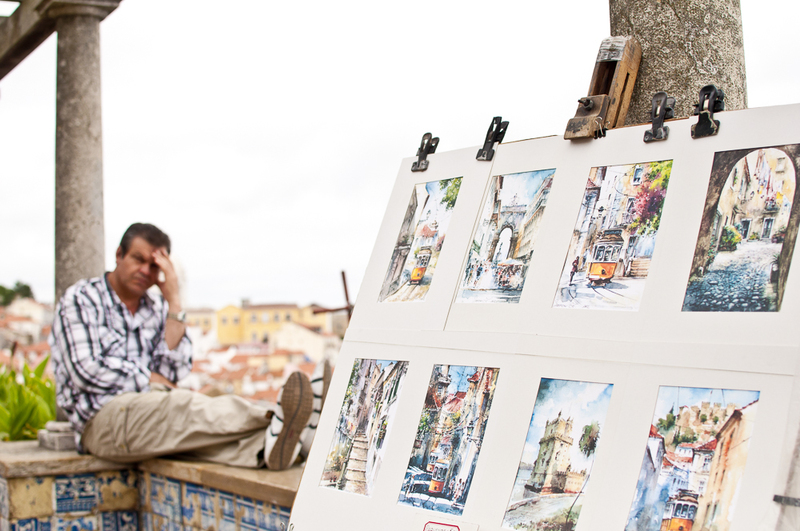 Lisbon is dotted with historic squares that can serve as a great backdrop for a shoot. 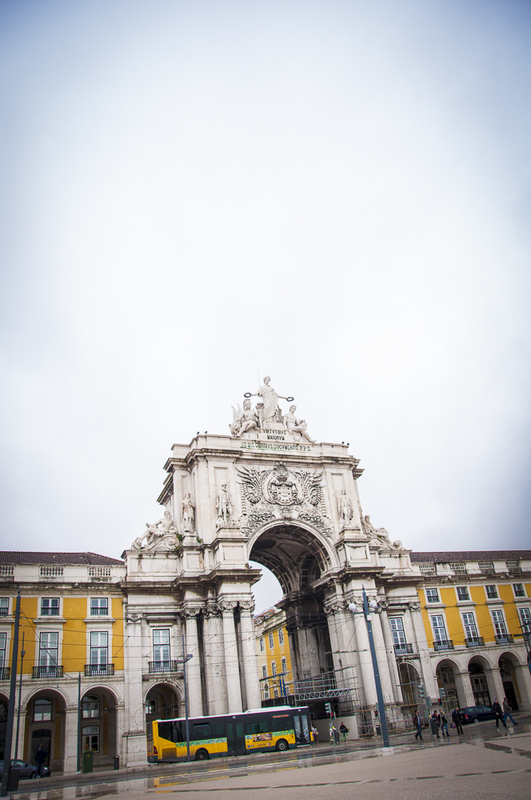 – Praca do Comercio (Commerce Square) is also referred to as the Palace Square (Terreiro do Paco). 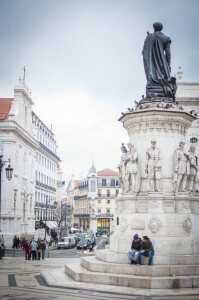 – Rossio Square is the way locals refer to the historical Praca de Dom Pedro the King. 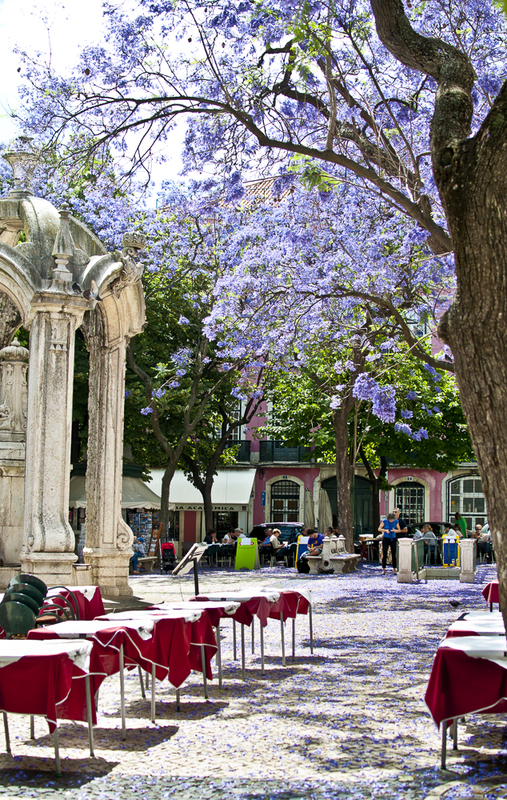 – Praca da Figueira (Square of the Fig Tree) is located in the Baixa district. 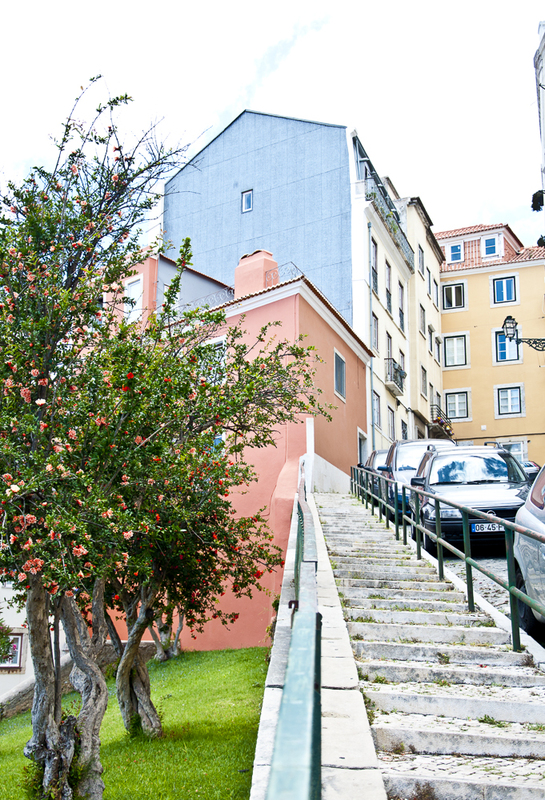 – Praca dos Restauradores is also located in the Baixa district and is close to Rossio Square. 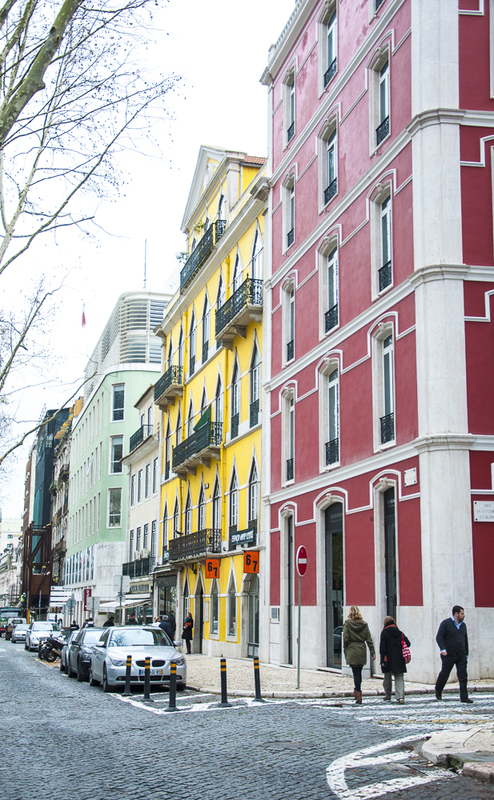 – Praca do Marques de Pombal is located between Liberty Avenue and Eduardo Park. 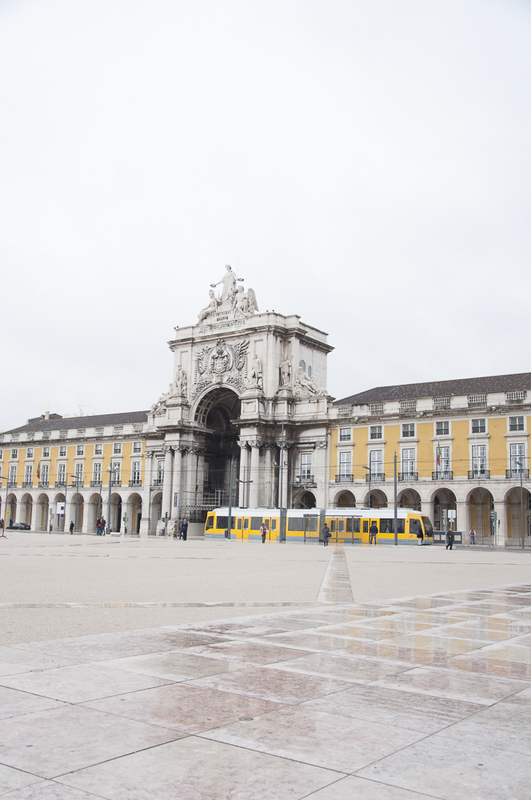 Because it’s also in the Baixa district, it is a major public transportation hub for the city. – Praca do Imperio (The Empire Square) is located in the Belem district and considered a major tourist hotspot. As one of the oldest nation in Europe, Portugal is home to numerous castles and towers. – Belém Tower is a UNESCO World Heritage Site. It was built by the military architect Francisco de Arruda, who built several fortresses in Portuguese territories in Morocco. The Moorish influence manifests itself in the delicate ornamentations, arched windows, balconies and ribbed cupolas of the watchtowers. 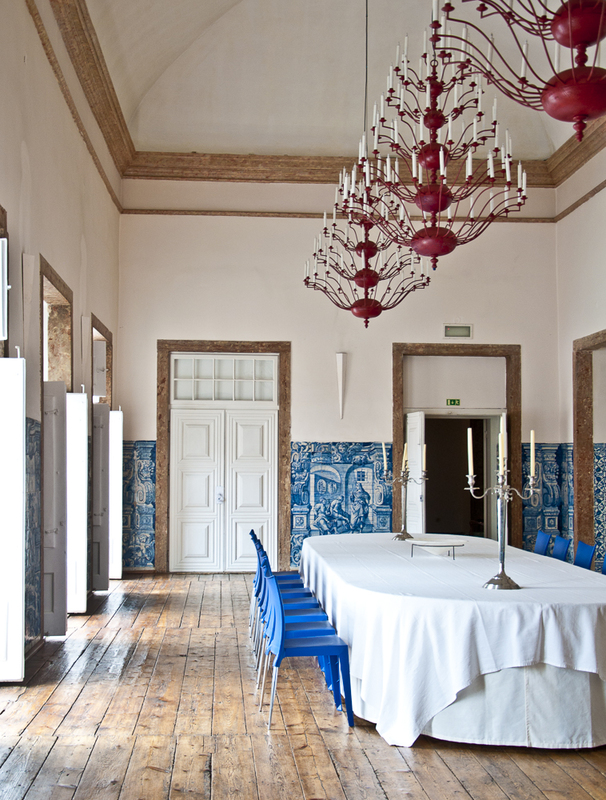 – Palacio Belmonte may be considered one of the most veiled secrets in Lisbon, but its history is the story of Portugal itself. It’s the oldest building of its kind in the city—it was built in 1449, atop ancient Roman and Moorish walls. Today Palacio Belmonte serves as a luxury boutique hotel and numerous fashion shoots and productions take place there. 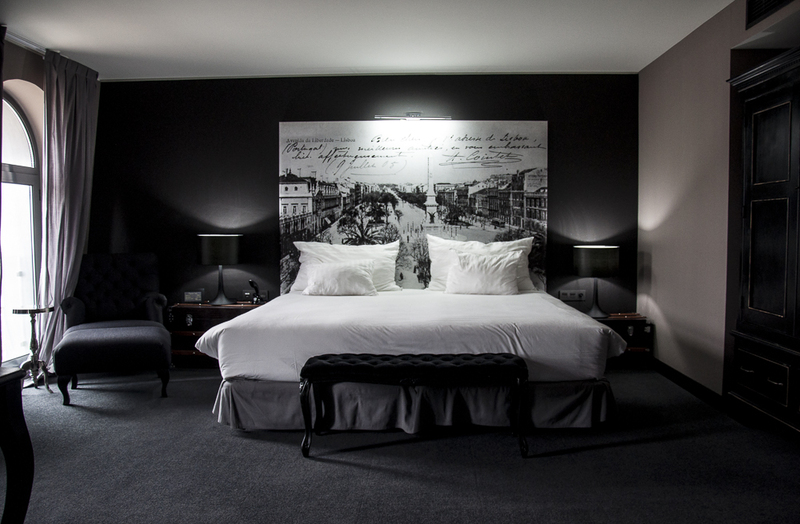 The site is owned and managed by Fredric Coustols; to book a shoot or room, contact him at www.palaciobelmonte.com. 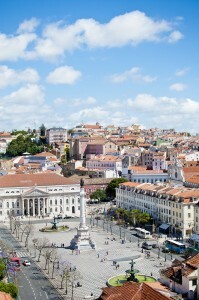 Lisbon has the advantage of being at the center of Portugal. Traveling times have been reduced by a new highway system and a network of trains and airports. 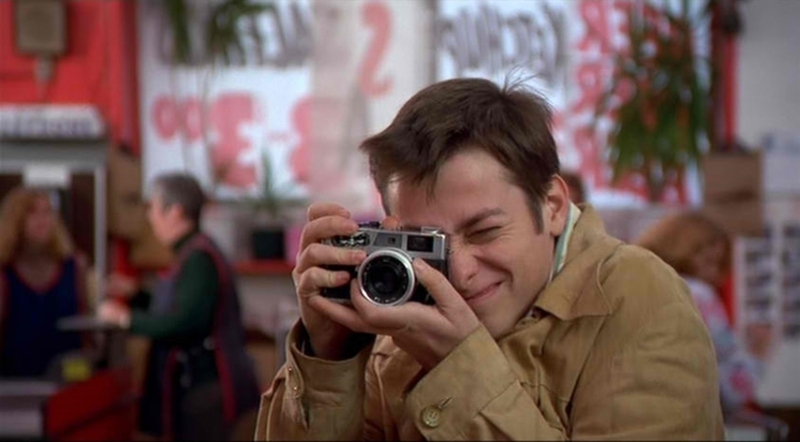 Here are some suggestions for locations outside Lisbon (all less than a hour away), either for a visit or a location shoot. – Sintra has been named a UNESCO World Heritage Site, thanks to its numerous royal retreats, castles and estates dating from the eighth and ninth century. You can find Castelo dos Mouros, the Pena National Palace, Quinta da Regaleira and the Sintra National Palace. – Mafra is well known for the Palacio de Mafra, a baroque palace that inspired the Portuguese writer José Saramago for one of his novels. – Estoril Coast includes several smaller boroughs and localities along the coastline, such as São Pedro do Estoril, São João do Estoril, Santo António do Estoril and Monte Estoril. – Cascais is a coastal town in the Cascais Municipality, which is considered to be one of the richest municipalities in Portugal. It used to be a fishing village, but has since expanded into a beach resort and serves as a weekend retreat for Lisbon residents. Lisbon has a variety of castles, old towers, hidden gardens, parks, public squares, monuments and promenades along the hills and the Tagus river—all serve as beautiful backdrops for shoots. Photographers, commercial film crews (for advertising, television, video clips, etc.) must obtain a permit. Contact Lisboa Film Commission – www.cm-lisboa.pt/en/business/lisboa-film-commission. National parks and monuments should be asked individually. 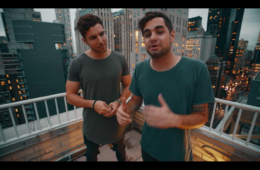 The best and easiest way to find your crew is to hire a local production company or a producer, as they can recommend the right people based on your needs and budget. 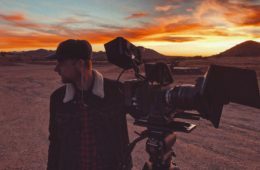 Production Paradise is a good resource to find local talents – productionparadise.com. The currency in Portugal is the euro. The exchange rate is: $1= 0.75€ (as of June 2013). Where is the best pace to exchange money? Banks might be the best place to exchange money. They are open from 8:30am to 3pm, form Monday to Friday. ATMs are identified by the symbol MB (Multibanco). In the last couple of years, Portugal has been in an economic recession, much like other countries in Europe, such as Spain and Greece. 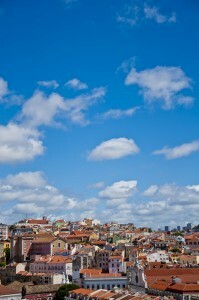 While locals buy less and tighten their budgets, Lisbon is becoming a more affordable destination for foreign tourists. 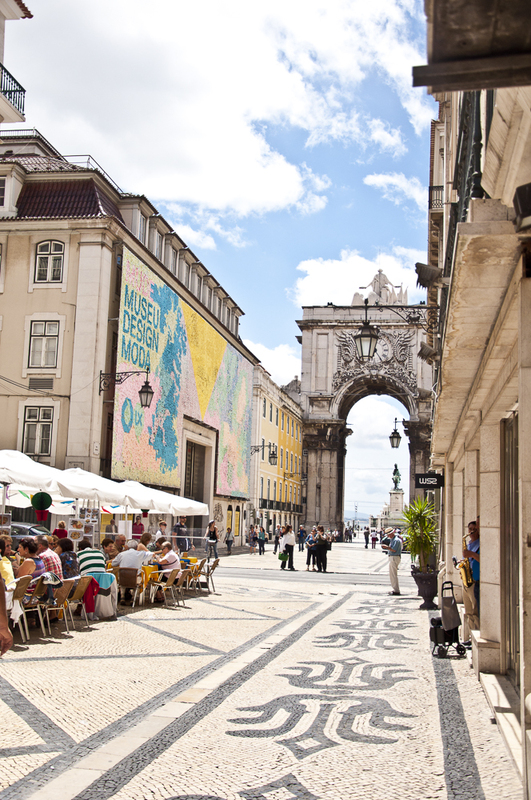 Lisbon’s affordability has always been one of the city’s main advantages—now more than ever! Prices vary in function of the type of establishment and whether or not they include a table service. An average full meal in a snack bar can cost 8-11€, 13-20€ in a restaurant and 30-50€ in an upscale fashionable restaurant (or Fado house). 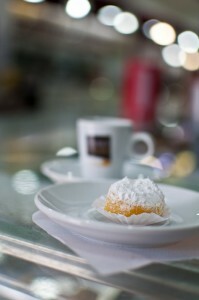 Service is included in restaurants’ bills, though it is customary to leave an additional tip of 5-10% of the total. Tipping a taxi driver is at the passenger’s discretion, though it is normal to tip 5-10% or round the amount up to the nearest euro. People drive on the right side of the road. Unless otherwise indicated, vehicles coming from the right have priority in squares and intersections. Road signs comply with international rules. The majority of taxis in Lisbon are cream colored, although the traditional black with a green roof design has been making a comeback. Taxis are quite common and easy to find. Most taxi drivers speak or understand English. A ride from the airport to the center of the city will cost approximately 20 to 35€. There are several car rental companies at the airport, including Europcar, Hertz, Avis and Budget, among others. The cost for renting a vehicle depends on the destination—in Lisbon, the average charge is 80€ per week. To rent a car you must be at least between the ages of 21 to 25 and have a valid ID/passport. Drivers should have their license for more than one year. 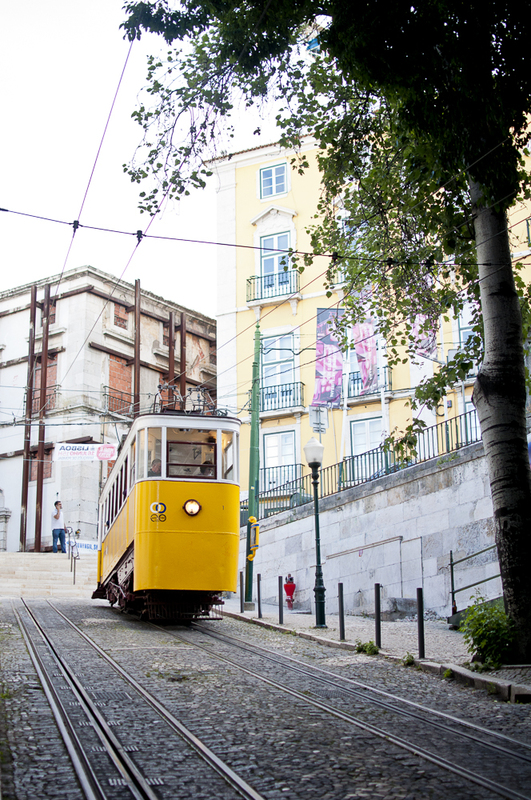 Lisbon offers various options for public transportation: buses, trams and the metro system. Regular service is provided from 5am until midnight. Early morning routes operate from midnight to 5am. Regular bus ticket in the city costs 1.75€. You can easily take a bus from the airport to the city center: Aerobus 91 runs from 7:30am- 10:30pm and departs every 20 minutes. One-way ride costs 3.5€. Funny enough, it seems that most international hotel conglomerates have bypassed the city. 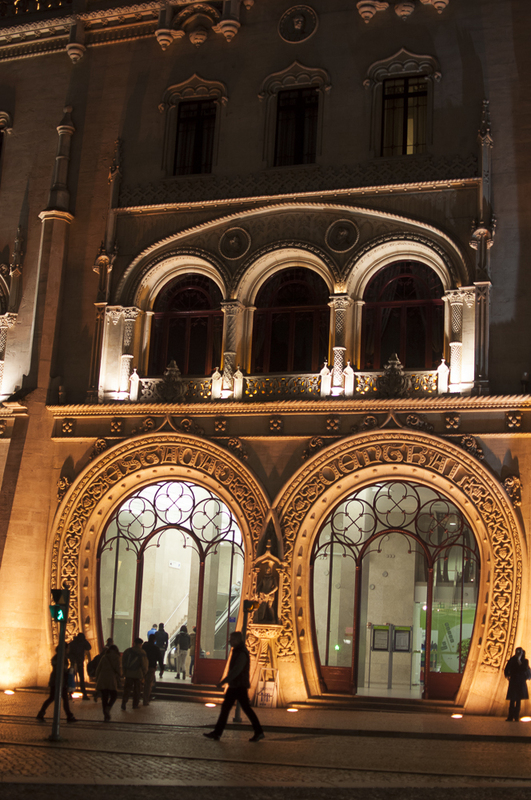 However, Lisbon is well dotted with a wide range of hotels and boutique hotels have recently spread in the city. Lisbon is a wired city and a lot of places have Wi-Fi. However, not everywhere is it free. You can either rent a cell phone or buy a local Sim card (to use with your American cell phone) at one of the Vodafone or TMN stores. Portugal is part of the Schengen Agreement. 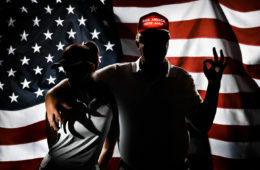 As such, U.S. citizens are permitted to stay in the country for 90 days without a visa. Passport should be valid for at least three months beyond the period of stay. 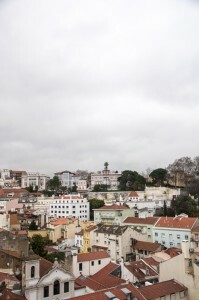 Portuguese law requires some non-European Union foreign nationals to register with immigrations officials within three working days of entering Portugal. 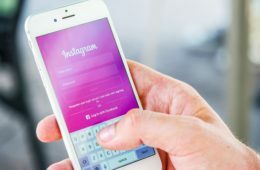 (The law only affects those who transit through another Schengen area country by air en route to Portugal and stay at non-commercial accommodations.) If you would like to ensure that your entry is properly documented, you may need to request a stamp at an official point of entry. Power Outlet Format is 230/400 volts at a frequency of 50 hertz, and sockets comply with European standards. Better bring a 230-volt transformer and an adaptor to use American style flat prong plugs. Language: The official language is Portuguese, but some areas have different dialects. 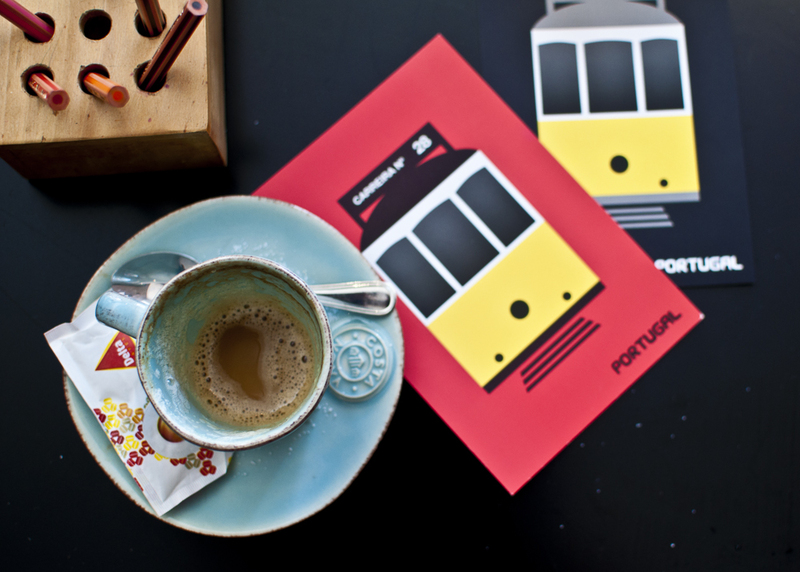 In most parts of Lisbon you can find people who speak English fluently, most likely in touristic places, museums, hotels, restaurants and bars. Area Code: Country code for Portugal 351. 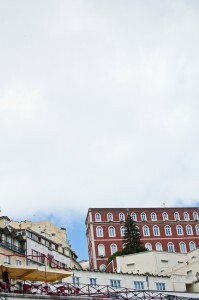 City code for Lisbon 21. To call from the US to Lisbon, dial 011-351-21-xxxxxxx. You can find this article in the Summer 2013 print edition, available to order here!